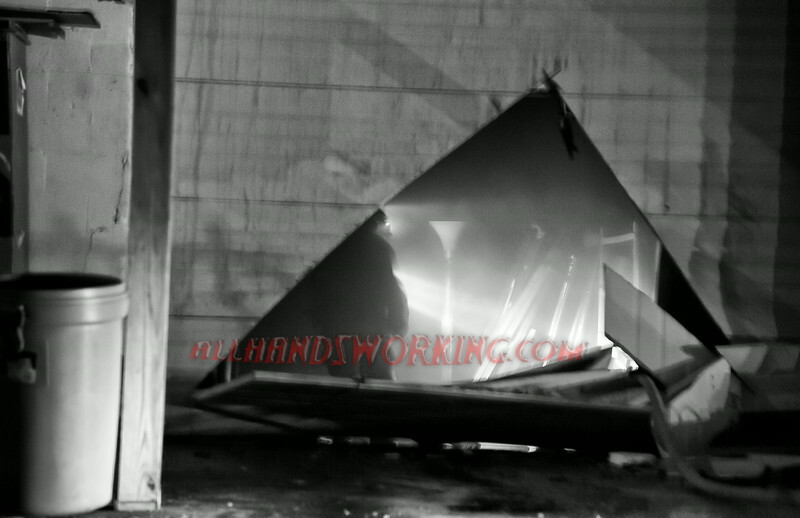 08/10/14 - Two dumpsters set on fire in the rear loading dock of the Helping Hands Warehouse spread to contents on the loading dock and into the building. Companies made an aggressive attack and then forced entry and knocked down the extension. Truck companies opened up topside and forced an overhead door to the rear. The structure was being used to house donated items for the thrift store. The Cause of the fire is suspicious and being investigated at this time.